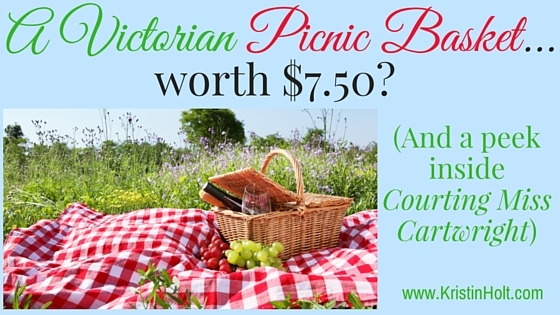 Victorian Picnic Lunches play a role in Caroline and Tom’s story, The Silver-Strike Bride. 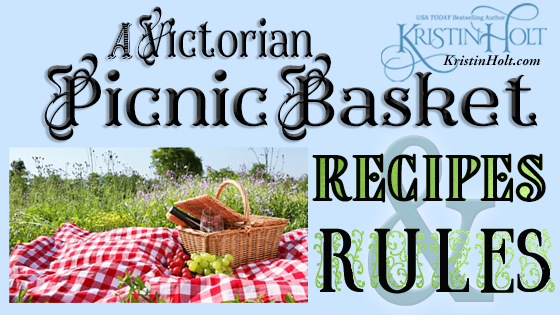 I suppose I really like the romantic possibilities when courting Victorians picnic together. 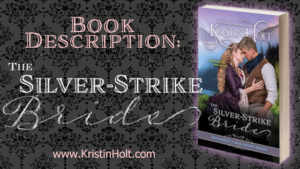 Not only does a picnic scene appear in Courting Miss Cartwright, we’ll see this favorite of mine again in The Silver-Strike Bride. School outings. Paid excursions (on boats or railroads). Welcome-home events. Political speeches. Visiting Ministers of the Gospel. Summertime festivities (families, towns, communities, celebrations). Or it’s too hot to eat inside so let’s take our supper down by the river and seek cooler temperatures. Or how about simple entertainment? 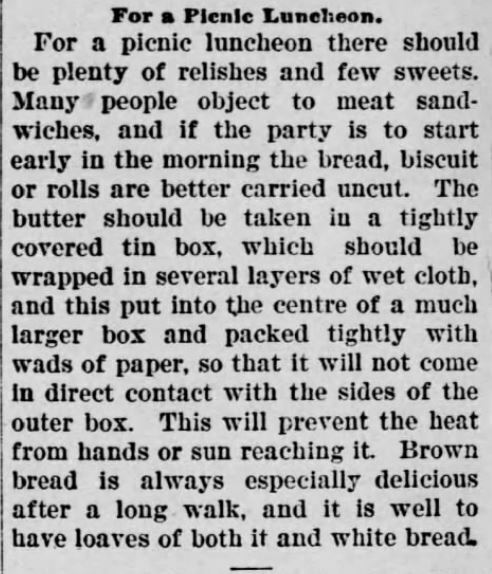 Did you know Picnic Etiquette was a thing? The season of picnics has opened, and it seems to us seasonable to say a plain word or two on the subject, even at the risk of offending the delicacy of some straight-laced Pecksniffian pater familias, or of some matronly “prurient prude.” We do not believe in the French system of surveillance over young girls, nor in the Spanish fashion of dnennas. But youth is inexperienced, emotional, unguarded and impulsive, and there is no harm in bearing this fact in mind. We do not allow children just learning to walk to wander unguarded at the edge of precipices, and we ought not to allow young people just acquiring a knowledge of the world to be exposed to perils of the nature of which they are ignorant. To come to the point: Picnics, where the party is largely made up of young girls, should be properly “matronized” and governed by a code of proprieties calculated to prevent even the appearance of evil. There should be no straying away in couples from the main body of the party, more particularly when champagne or other vinous beverages have constituted a part of the collation. 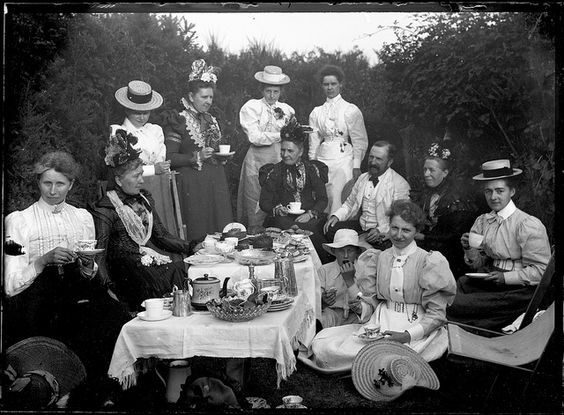 We have been told that there is a certain class of fast young men who make a practice of attending all picnics that are not of a strictly private character for sinister purposes. 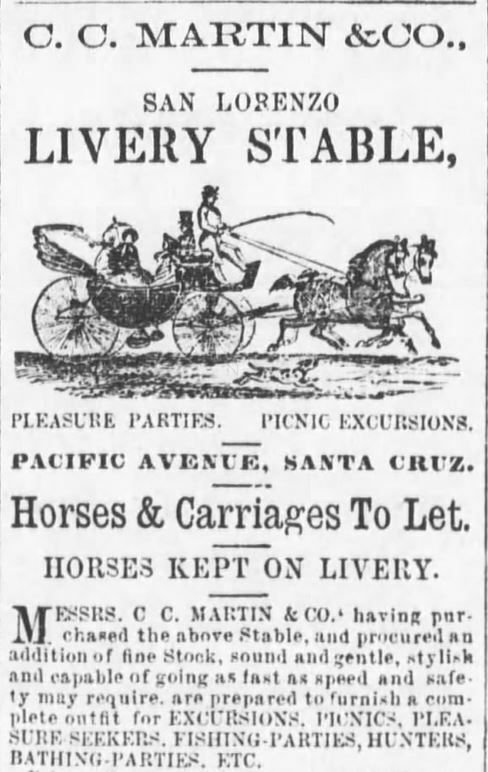 However this may be, no judicious and thoughtful parent would dream for an instant of permitting a daughter to attend any festivity of this kind without trusty attendance. Let a sensible code of picnic etiquette be established and rigidly enforced in all excursions of the sort that pretend to respectability, and the perils at which we have hinted will cease to exist. Common enough in American communities were the “picnic basket” meetings where townsfolk would gather to hear a speaker or minister while families would sup on the fixings brought along. 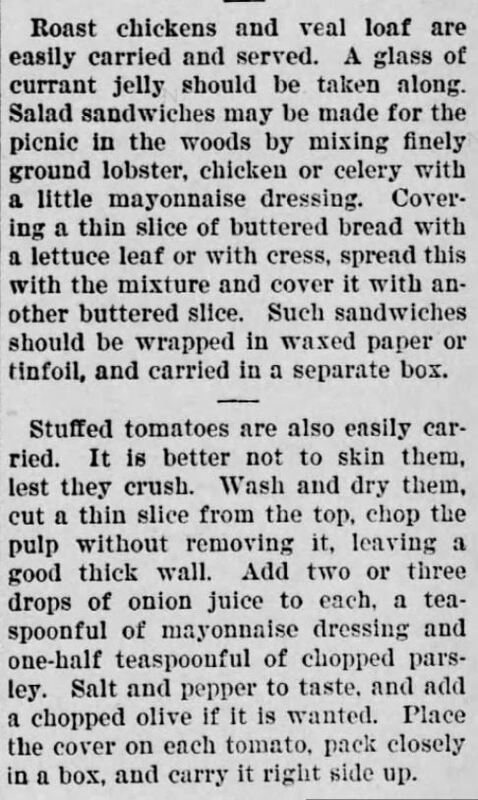 Newspaper clippings of the era speak of pot-luck suppers more along the lines of picnic-pot-lucks where all brought picnic baskets and everyone enjoyed the samplings of everyone’s cooking. Events such as these occurred on holidays such as Independence Day or Founders’ Day. 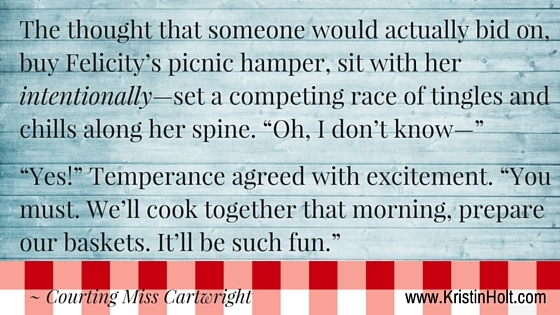 I wrote a scene centered around picnic baskets in my new release, Courting Miss Cartwright. (Contained within the Western Historical Romance Box Set Cowboys & Calico). [Release Date 7-30-16] Young ladies packed picnic basket luncheons which were auctioned off. The winner of each auction had the privilege of eating that prepared meal with the lady who made/donated it. It’s a good cause: raising money for the church organ fund. 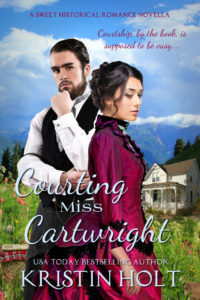 My fictional town of Mountain Home, Colorado celebrates its twentieth anniversary on Founders’ Day 1877, but it’s Felicity Percival Cartwright’s first Founders’ Day…and she doesn’t realize she is more the object of the bidding than her picnic basket–until it’s too late. 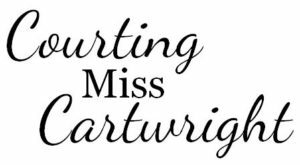 The following section is a peek inside my new novella, Courting Miss Cartwright, originally contained in the no longer available Cowboys & Calico. This title is now in it’s own kindle book and own paperback. This snippet is the first part of a scene near the end of the book. Enjoy! When Felicity entered the basket auction, she’d somehow failed to comprehend that she would be on stage, the object of the bidding. Not the basket. 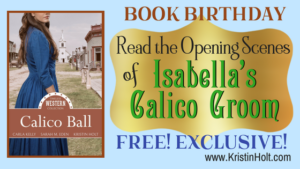 She—the spinster, illegitimate daughter of the preacher—had the attention of a crowd filling the town park and street. Dozens, no, hundreds of faces. Most of them strangers. Miners, businessmen, ranchers. They all laughed, joked, and had a wonderful time. She’d never felt so exposed. Her heart rate sprinted. This circus could easily make her the object of ridicule. She clutched the picnic blanket she’d brought along with her basket, twisting her fists into the fabric where onlookers couldn’t see. Why hadn’t she insisted that her basket go up for sale after her sister’s? Or simultaneously? Every head spun toward the masculine voice Felicity would know anywhere. Mr. Rocky Gideon, bidding on her basket. He’d ignored the opening request for two bits and inflated the price eightfold! 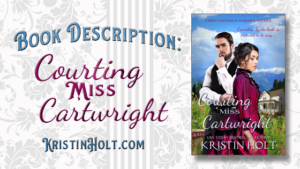 Had he misheard?—thought Miss Temperance Cartwright’s name had been announced? Rocky’s penetrating gaze never left Felicity’s face. Embarrassed heat flushed into her cheeks. No. He wasn’t mistaken at all. Did he want to spoil her precious, new relationship with Temperance? If he’d intended to spark interest in her basket, he’d gone too far. No one would challenge him for the ridiculously high water line of two dollars. A smattering of laughter from the audience. At least they were having a good time and weren’t laughing at her. Must her soon-to-be brother-in-law make a spectacle? Sounds of appreciation melded with laughter and applause. Conversation buzzed.